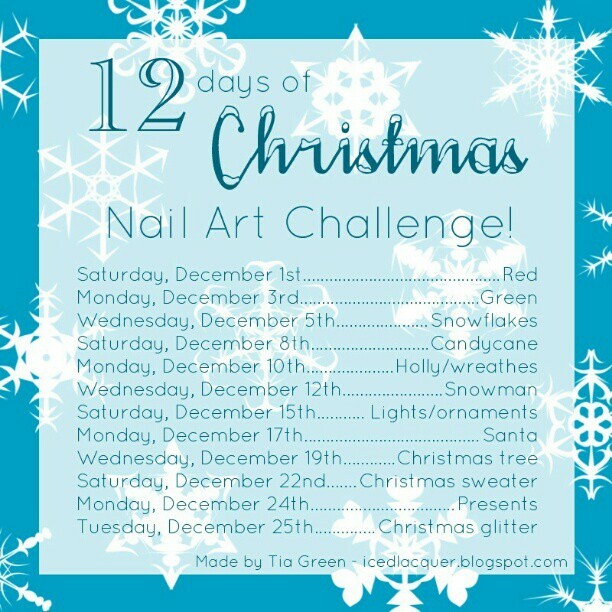 Today I'm showing you a water marble that I did for the Iced Lacquer - 12 Days of Christmas Challenge. This week theme was "Green", I decided for a green water marble. Such a gorgeus water marble with the holo shade and shimmers. This is aaaamaaaazing - sooo beautiful!! Que envidia que tenemos... te quedo ESPECTACULAR el water marble ;) Un 10!!!!! love this it looks amazing! I love your marble, it is gorgeous! Gah! Amazing water marble Lydz! this is gorgeous!! I need to practice this! tu eres la reina del water marble. Wow, this is really pretty! Great job! Love the color combination of your nail art. It was perfect!